This garlic grading production line is mainly used for sorting garlic bulbs according to their sizes. And this line is working well for garlic grading, so it is a good choice for industrial garlic processing. Tips: we also have other garlic processing equipment available, such as garlic peeling machine, and garlic bulb separating machine, garlic slicing machine. 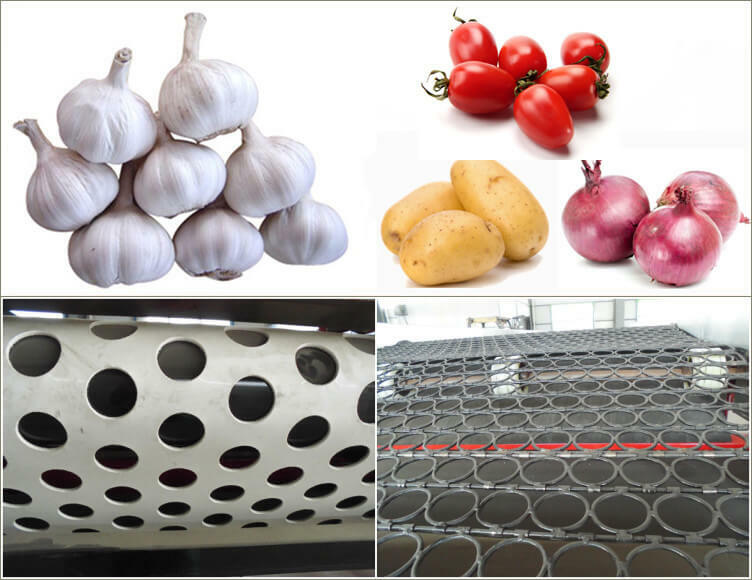 1.Wide-application: this garlic sorting line can finish grading of garlic, small tomato, Chinese date, hawthorn, etc. various kinds of small vegetables and fruits. 2.Multi-grading results: 5 different sizes of garlic can be sorted. 3.No damage to garlic: silica gel belt conveyor is employed for sorting, which will not damage the garlic. 4. This garlic sorting line is movable, and it can be customized upon customers’ requirements. 1.Vibrating screen: the mud on the garlic and the outermost layer of peel can be removed by vibrating separation. 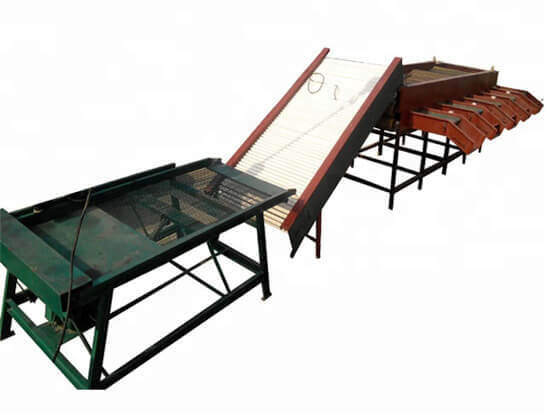 2.Belt conveyor: it is used to deliver the garlic to the grading machine after processing by a vibrating screen (legs of this machine can be disassembled to facility transportation).